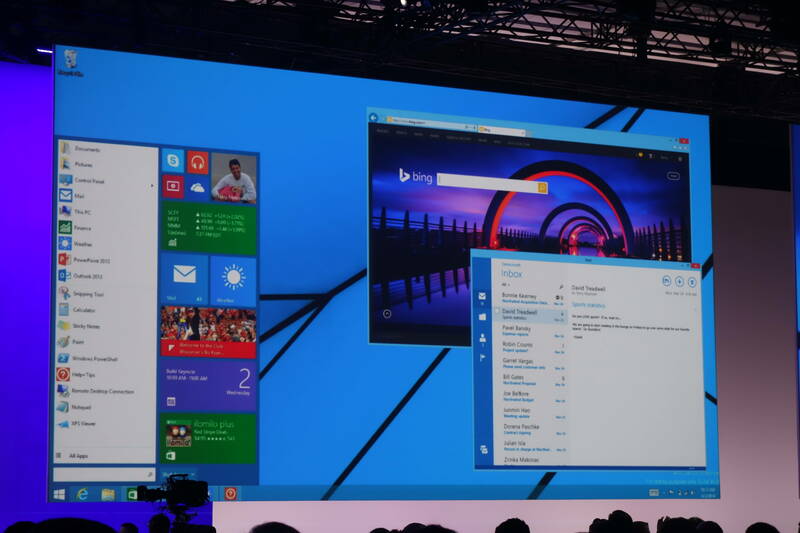 Microsoft has teased that we could see the return of the Windows 7 Start Menu during the Build Developers’ conference. The Build keynote last night was used to not only launch the new Windows Phone 8.1 mobile OS, but also the first Windows 8.1 Update making it easier to use with a traditional mouse and keyboard. Windows 8.1 Update 1 will be available as a free download on April 8 and seems to be admission from Microsoft that not everyone has gone keyboard free for Windows 8.1. However, it looks like Microsoft could also be introducing some other dramatic changes to its latest desktop OS in the future. During the Build Conference, Executive VP of Microsoft’s OS group Terry Myerson hinted that some key Windows 7 features could be coming with a future update. Among the upcoming Window 8.1 features was the ability to launch Metro-style Windows Store apps alongside other on-screen windows. You will also be able to resize, minimise and stack these Metro-style applications, just as you would traditional desktop apps. He also added that Microsoft has plans to “enable your users to find, discover, and run your Windows applications within your Start Menu”, and used the rather exciting slide pictured above to outline his point. That screen gave us a first look at the potential Windows 8.1/Windows 7 hybrid Start Menu with Windows 8 Live Tiles stacked up the right hand side and the standard launcher icons down the left hand side. These traditional icons include Windows Store apps and the normal desktop applications like Calculator and Paint.